Not only do I love making new virtual friends, I love receiving snail mail with lots of cool surprises. You know those little surprises that you would never actually go out and buy yourself? For this Gear Exchange we added a bit of a twist – each participant had to either share a favourite book or DVD (even if it was preloved), two recipes and some extra surprises. The exchange was open Canadian wide and we definitely had participation from coast to coast. So let me share with you a little about what I received from my sender For the Love of Family (Tracey) and what I sent to Pipers Run (Anna) for her enjoyment. Check out all those goodies! I very quickly lost the purple socks and headbands to my 2 1/2 year old who is obsessed with those colors. She was so excited about “mama’s new socks!”. I also was thrilled to receive one of Julian Michael’s work out videos because that girl is a beast (in the most fit-lady like way as possible). Her workouts are killer and amazing inspiration for me now as an instructor. 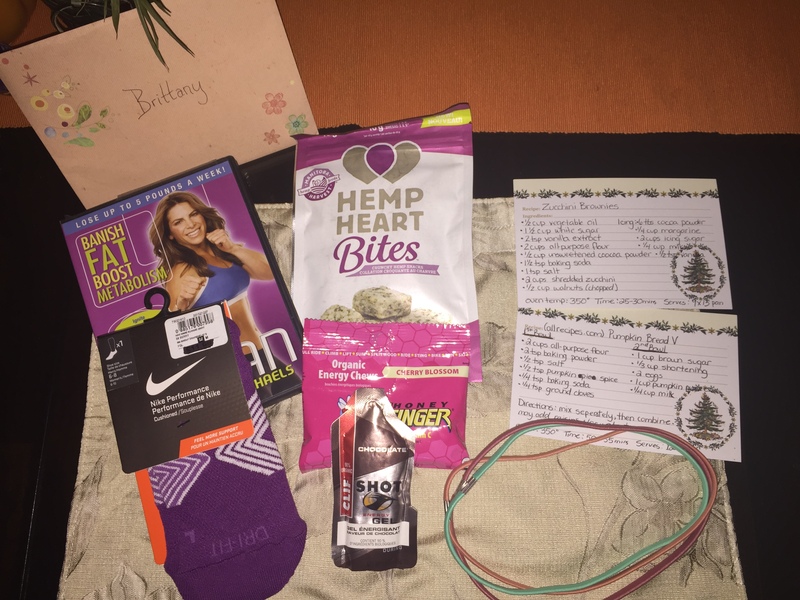 I was also glad to receive the Hemp Heart snacks (I have never tried them before! ), especially since I am currently running a giveaway for #HempHearts right now on the blog. It’s another great way to try something new. The two recipes Tracey provided look yummy, I mean who wouldn’t love zucchini brownies?!? Seriously looking forward to making a batch this weekend for our neighbourhood halloween party. Finally, as I get back into winter running those delicious treats shown in the middle (e.g., gels) will come in handy for refuelling. The beauty of technology allowed me to very quickly and very easily send Anna two of my favourite and useful “toys”. As a runner I figured she would get a lot of use out of a book that teaches you the best techniques for using a foam roller. And, you can never be too old for a skipping rope. It’s amazing cross training activity and just a great way to decompress. As somewhat of a traditionalist, I also sent a small package by snail mail which contained a new “Ideas” notebook, a few samples of delicious teas and two of our family favourite recipes (Hearty Lentil Soup and Quinoa Crusted Chicken). If you want to see what other great stuff the Canadian ladies received hop on over to our link up (see icon below). Remember active blog participation is always welcomed, try and comment on at least two blog posts. 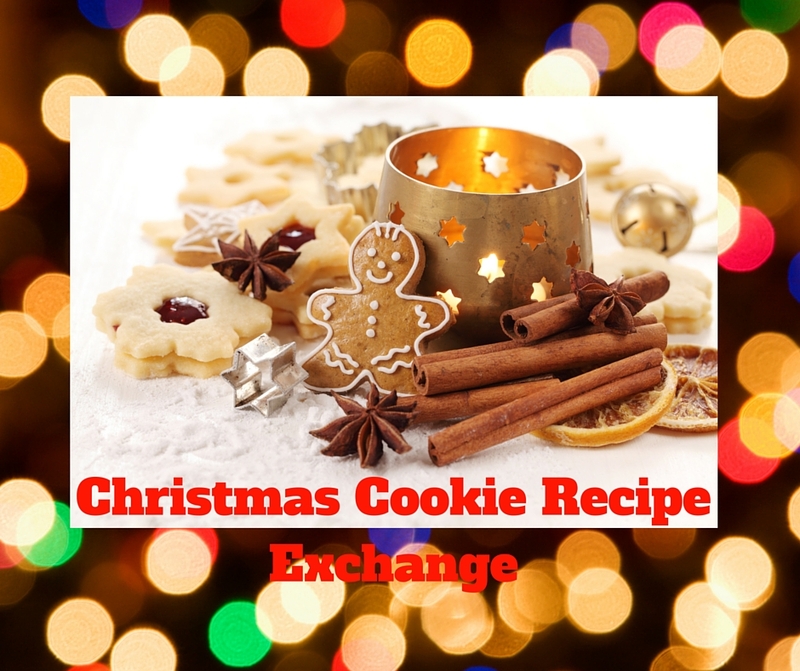 In the spirit of the holidays rather than a full on “Gear Exchange” stay tuned for details on my holiday cookie recipe exchange in time for Holiday Parties and get togethers. 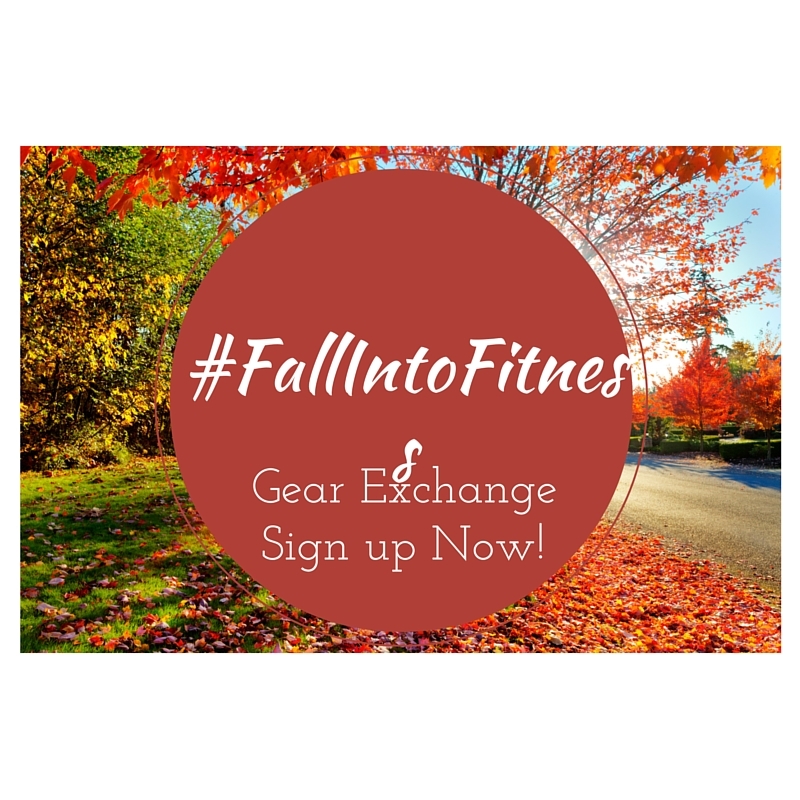 Are you interested in a Fall Into Fit Gear Exchange? Blogging friends, who doesn’t like to connect with like minded individuals who share a passion for living healthy and fit. I love receiving snail mail, including surprise package. What could be more fun than sharing some of your favourite goodies with fellow fit Canadians, while also receiving something new to try? 1. Fill out this form to participate. You’ll need to fill it out by Monday, September 14. 2. Look for an email from me by September 17 with the name of the individual who you will reaching out too and the rules of the swap. It will also be fun if we commit to following all the participants so as part of this initial email I will include participants usernames for the various social media platforms. 3. Email your partner by September 21. This is the person who you’ll send “gear” to (remember this could include a sport shirt, headband, water bottle, you name it). Get to know them a little! Introduce yourself. 4. Don’t forget to send a little group love! Tweet, Instagram, Facebook message not only your partner but @mymamajourney and some of the others included in the email you receive. 5. We are changing the rules this time! Thinking sharing a favourite book or work out DVD (could be recycled), 1-2 fav recipe(s) handwritten and a surprise item, something that represents you and where you live (what motivates you about your hometown or place of residence). The value of the goodies should be approx. $40 (don’t forget shipping costs will likely be $10). 6. Ship package so that your partner receives their items by October 8th so that collectively we can post on Wednesday October 14! October 14. I’ll aim to have a link-up on my site just prior to this date. Lets work together, and if you do not have a blog don’t worry! You are welcome to email mymamajourney@gmail.com to share your post by September 30. 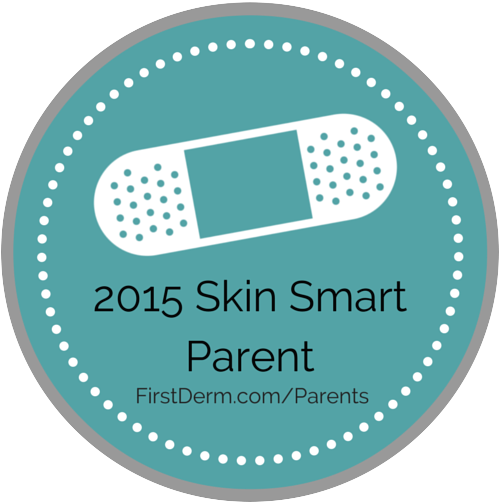 Sign up and you will receive an email soon.